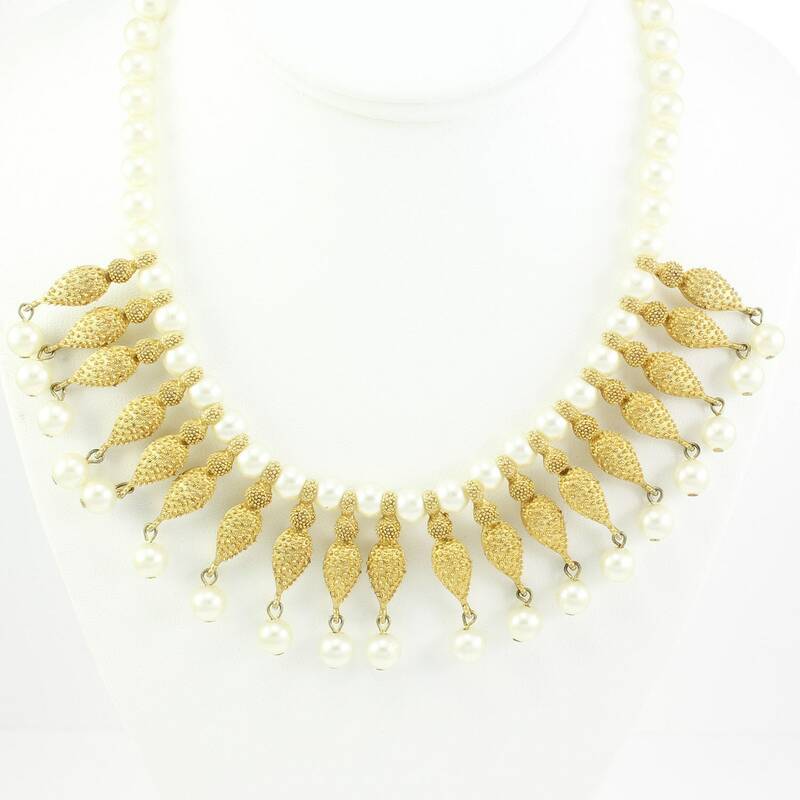 Vintage Simulated Pearl Gold Tone Cleopatra Collar Statement Necklace. 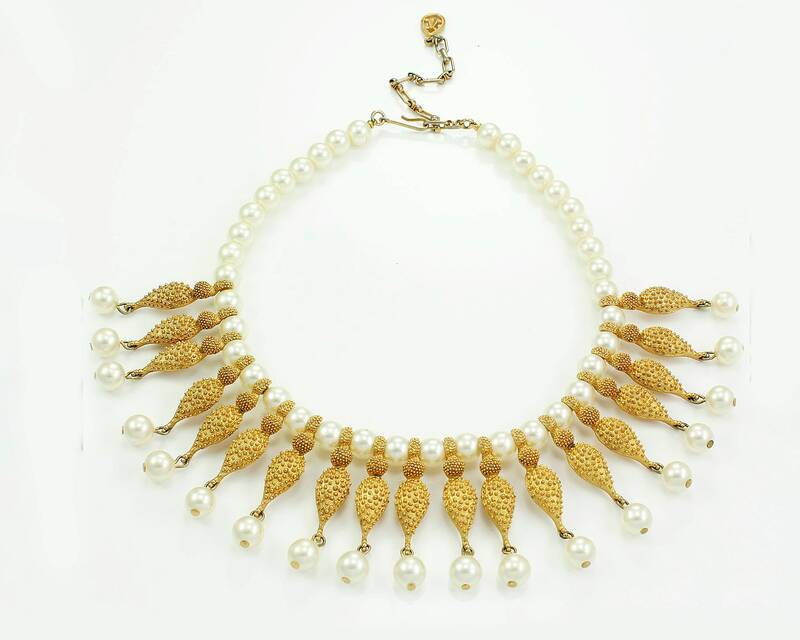 This dramatic vintage costume necklace features a strand of white simulated pearls, with textured goldtone petal segments tipped with simulated pearl drops in a wide Cleopatra-style collar. 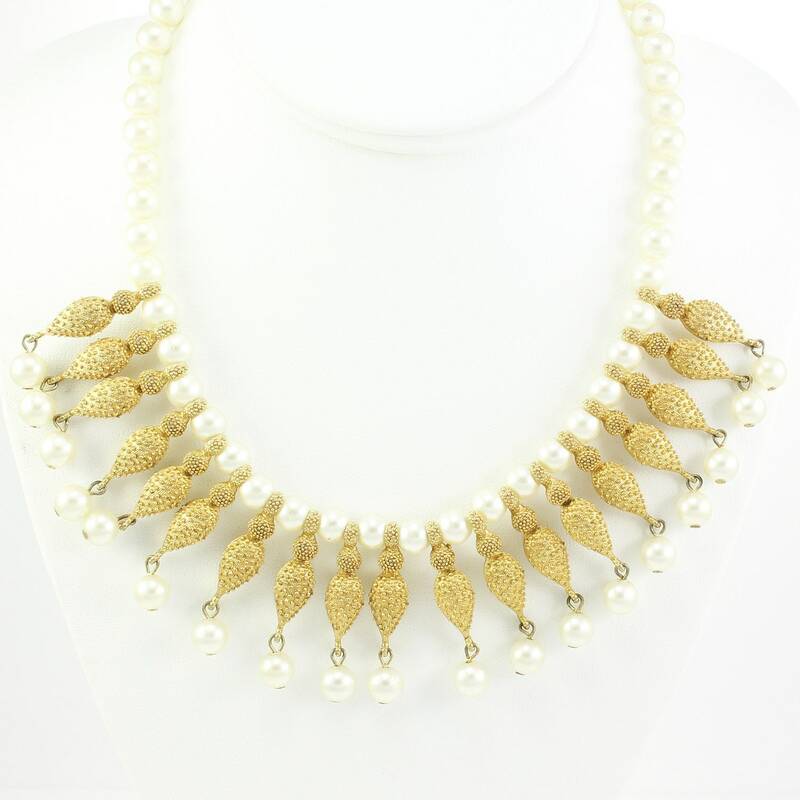 CONDITION: In very good vintage condition, with minor signs of surface wear.